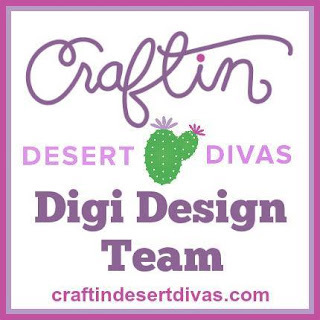 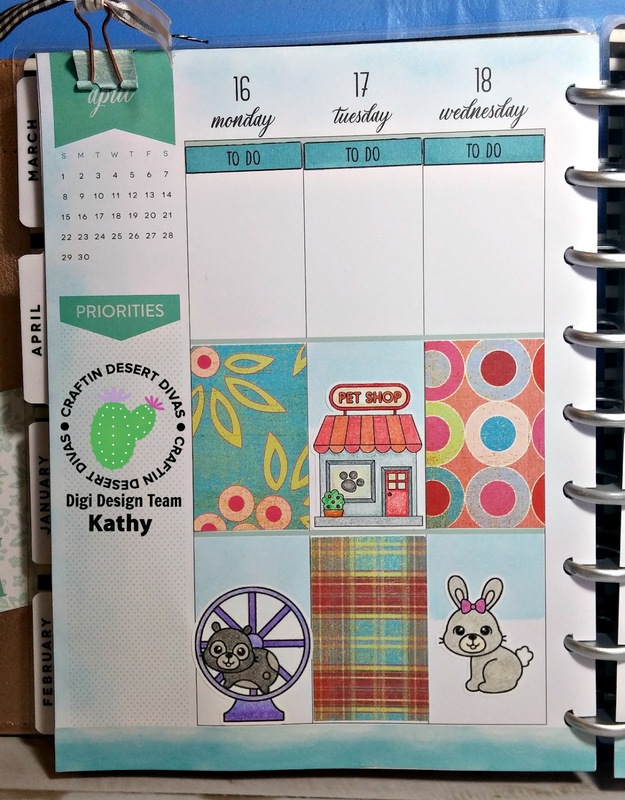 Today's project is my weekly planner spread with Craftin' Desert Divas. 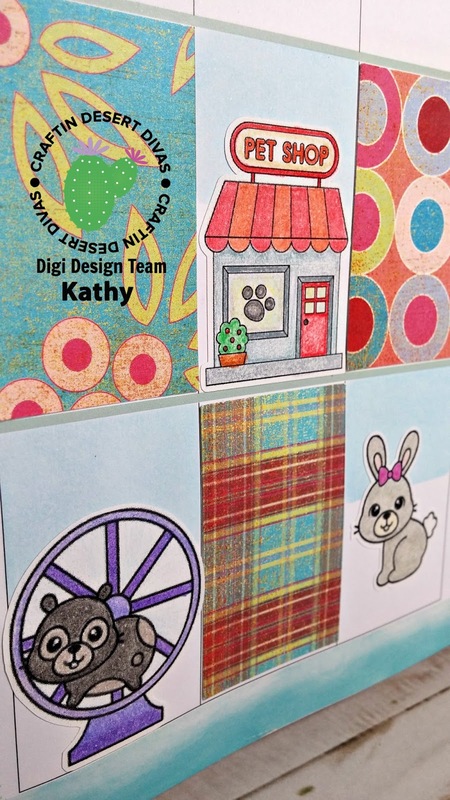 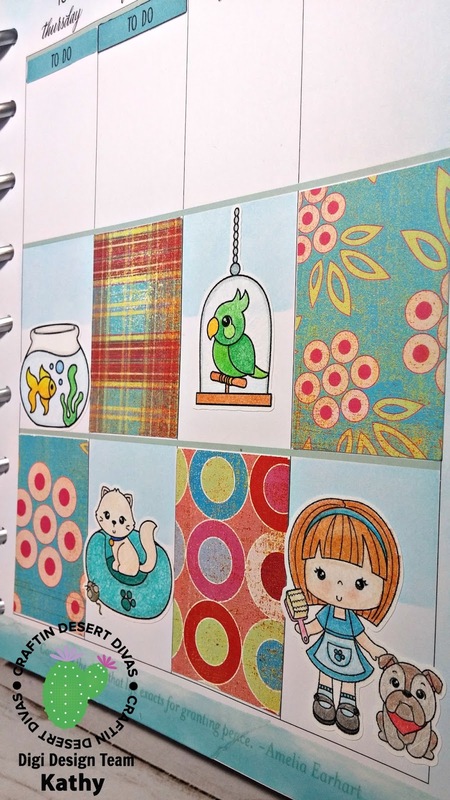 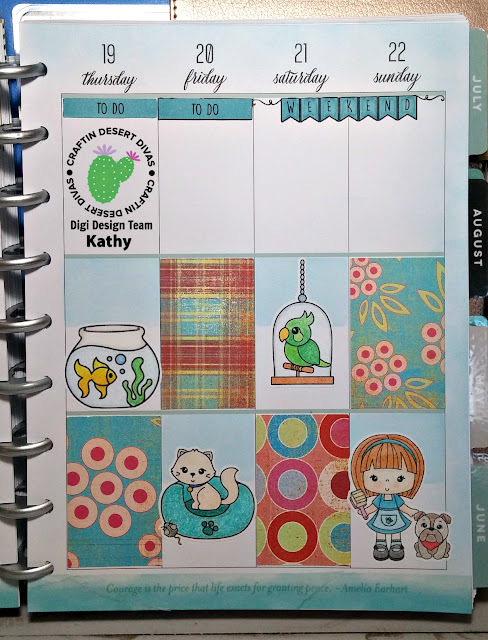 To complete this adorable layout, I used two digital stamp sets...the Planner Basic Bundle and Pet Shop. I used patterned paper from my stash and colored all the images with colored pencils. 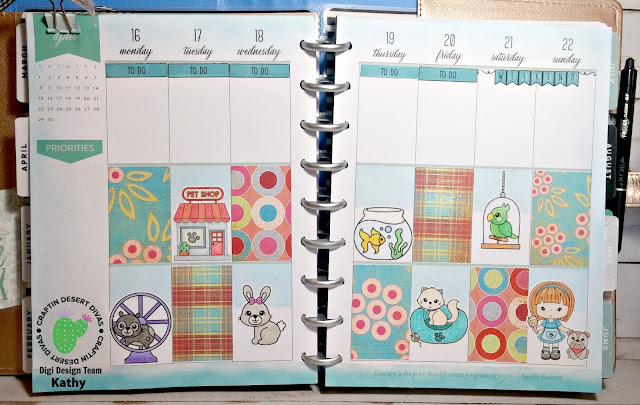 I printed my digis on sticker paper, colored the "To Do" and "Weekend" stickers using markers and then cut them out using my Scan N Cut.